Roads, Parking, Footpaths, Footways (pavements) and Verges are the responsibility of either the Highway Authority, Surrey County Council or Surrey Heath Borough Council. Below we have set out the responsibilities of each with appropriate contact details. 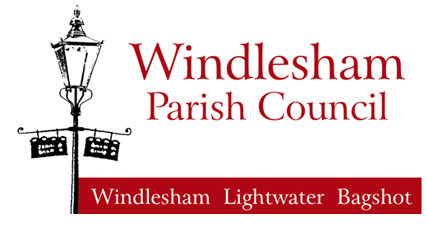 With the exception of some private roads within Windlesham Parish all roads and associated pavements (footways), street lighting, street furniture, footpaths and verges are the responsibility of either Surrey Heath Borough Council or Surrey County Council. Any faults or issues should be reported to the County and the contact details are set out at the bottom of the page. If a vehicle is parked either on the footpath or road in a manner that causes a serious obstruction to either pedestrians or vehicles this is a matter that only the Police have powers to deal with. You can contact the police to report non emergency matters on 101. All on street car parking is the responsibility of Surrey Heath Borough Council who determine, manage and enforce the yellow line regime. In particular parking enforcement is no longer the responsibility of the Police and all issues relating to on street car parking, other than obstruction should be referred to the Council. Contact details are set out at the bottom of the page. There are Bye Laws in place which make it unlawful to park on a grass verge. Any such instances should be reported to Surrey Heath Borough Council who will in appropriate situations take action. When reporting such incidents details of location, vehicle make and registration and if possible photo evidence should be provided. You can use the details below to further your complaint with the relevant official bodies responsible for the management of these respective areas. A vehicle causing an obstruction is one which has been parked and left unattended in such a way that it is considered to be a hazard to other road or footway users. For example, a vehicle may have been parked on a bend on the carriageway or at a junction, creating a safety hazard to other users; it may have been parked across a footway blocking free passage to pedestrians, particularly those using mobility scooters or with push chairs; or a vehicle may have been parked in front of a driveway blocking access to private or public property.